Official Viwawa Blog: Chinese New Year 2012 Updates! Chinese New Year 2012 Updates! Several updates have been lined up to welcome the dragon year..! Earn DOUBLE XP and GOLD in all games from 20th to 29th Jan 2012! 5 new word quests, including one CNY word quest and award for everybody! New refreshed look to the playing tables for the festive season! 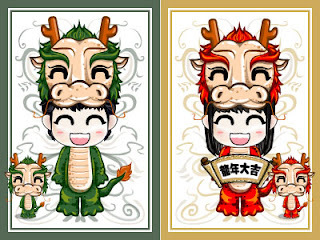 Celebrate the dragon year with beautiful dragon outfits and backgrounds for your wawa! 4 new costumes for the dragon year! Check the link below for details. 8) Dragon set for Wahlords and Buffet Wars Note that the dragon sets shown in the games now are not for sale, and only available via promotions, competitions, contests and lucky draws. Why today not double xp and gold? Why it is not applied for Buffet Wars? Diner Remix: How high can your score go?